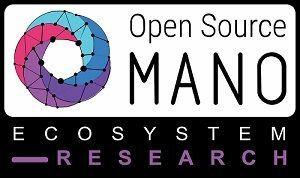 ECOC 2018 (www.ecoc2018.org) 23-27 September 2018 (Rome, Italy). The EU-funded Metro-Haul project (metro-haul.eu) is again making waves, in every sense, at ECOC 2018 – the leading European conference on optical communication. After hugely successful participation at OFC 2018 (see our blog: “Metro-Haul Impact at OFC 2018”, the Metro-Haul team is furthering its research and industry leadership with eighteen contributions this week at ECOC 2018. 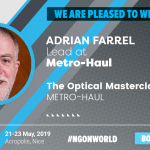 These contributions will be demonstrating Metro-Haul 5G innovation across a variety of optical technology areas, including signal amplification, filterless optics, PON control planes, machine learning and network telemetry, unified resource modeling, and control architectures for optical SDN and NFV. 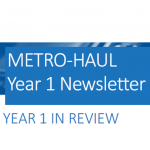 “Metro-Haul celebrated its first-year milestone this summer and has already been established as a leading innovator for the application of optical infrastructure. ECOC 2018 will allow us to demonstrate our vision and practical steps for 5G network operation and service delivery,” said Dimitra Simeonidou, a Metro-Haul member and Director, Smart Internet Lab, University of Bristol. 5G is changing the way we are using the Internet, facilitating new applications that require low-latency communication and high bandwidth, coupled with mobile edge computing and storage. ECOC allows Metro-Haul thought-leaders and experts to share their innovations, demonstrate the cooperative technologies, and actively discuss how academic innovation and industry collaboration is shaping the 5G landscape. Metro-Haul is a consortium of 21 European companies and research institutions awarded €7.7 million in 2017 by the European Commission to fund ambitious research into the application of scalable optical networks to future 5G wireless technology and services. The objective of the Metro-Haul project is to architect and design cost-effective, energy-efficient, agile, and programmable metro networks that are scalable for 5G access supporting next generation Internet services, while capable of fulfilling future requirements. Please come and ask more about the Metro-Haul project at ECOC – all the partners would be very happy to talk about it in more detail. For details of the program, please refer ECOC event calendar page (metro-haul.eu/event/ecoc-2018/). The Metro-Haul and ECOC social media will be in full voice during the event – please keep hashtagging your posts with #METROHAUL @METROHAUL, #ECOC2018 @ECOC_Exhibition on Twitter! The METRO-HAUL project receives funding (G.A. 761727) from the Horizon 2020 EU research & innovation programme. For more details about the Metro-Haul project, visit the project website, follow the project on Twitter, Linked-In, or ResearchGate, or contact the project via email. Dimitra Simeonidou is a Full Professor at the University of Bristol, the Director of the Smart Internet Lab and Head of the High-Performance Networks group (HPN). Her research is focusing in the fields of high performance networks, programmable networks, wireless-optical convergence and smart city infrastructures. Dimitra has been the Technical Architect and the CTO of the smart city project Bristol Is Open. She is currently leading Bristol’s 5G urban pilots. She is the author and co-author of over 400 publications, numerous patents, and several major contributions to standards. She has been co-founder of two spin-out companies, the latest being the University of Bristol VC funded spin-out Zeetta Networks, http://www.zeetta.com, delivering SDN solutions for enterprise networks. Dimitra is a Royal Society Wolfson scholar.